SPACE NEEDS YOU. We are looking for Maine educators and their students to participate in the Maine CubeSat Launch Initiative. Have you ever wondered what it would be like to look down upon the earth from space? This is your students’ opportunity to design and build a real space satellite and get it launched by NASA and Maine-based launch vehicles! You will decide what experiments to launch! You will have the assistance of experienced space professionals to work with you and guide you through your mission. 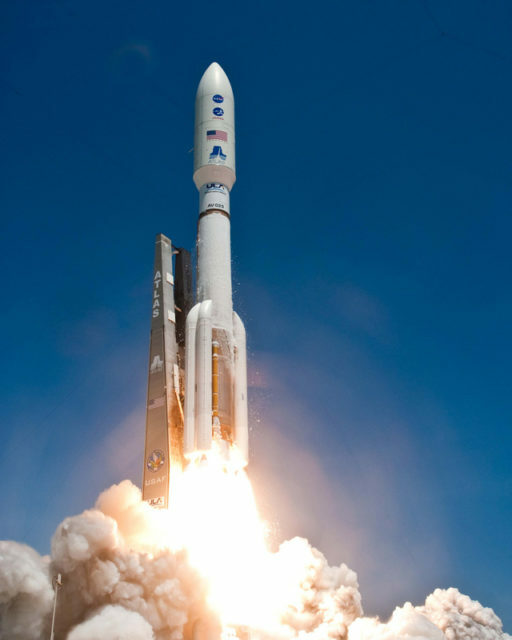 Get involved, launch your students’ careers in STEM and help them propel their college applications to the final frontier! The Maine Space Grant Consortium and its private and public sector partners will pilot the Maine CubeSat Launch Initiative (MeCSLI), an education and workforce development effort designed to promote increased pre-college student interest in STEM careers via direct student involvement in the development and launching of CubeSats into lower earth orbit. 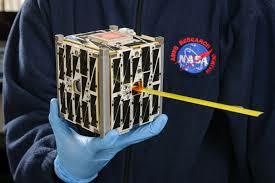 For more information on CubeSats go to http://go.nasa.gov/CubeSat_initiative. 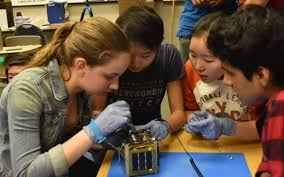 The MeCSLI will engage teams of middle and high school age students, teachers, and informal educators, community college and university students and faculty, and businesses in every phase of a CubeSat space mission: Mission Management & Operations, Spacecraft Construction & Testing, and Spaceflight Data Utilization. We will implement the pilot MeCSLI in three stages. January 2019: In the first week of January we will issue an invitation to teachers to attend a mid-late January workshop to provide an overview of CubeSats, potential mission concepts, ideas to engage students in selecting mission concepts, resources and support network. February 15, 2019: Mission concept two-page proposals are due. Please sign-up here to ensure that you receive an invitation to participate in MeCSLI and in the January workshop. 1st Week of March 2019: We will competitively select three to five mission concepts and match the teachers and students with teams of community college and university students and faculty and businesses. Late March 2019: We will schedule a workshop for all teams to go over mission requirements and available resources and help them prepare full proposals describing their missions in more detail, including design, build, test, and data retrieval and analysis. CubeSat missions take 2 to 4 years from design to launch before data retrieval and analysis. Teams must consider how they will integrate missions in classrooms over this timeframe. May 31, 2019: Full proposals are due. End of August 2019: We will select one of the missions as the primary payload in a proposal to the NASA CSLI that is due November 2019. We will provide financial resources to that team to design, build and test their CubeSat mission, including data retrieval and analysis. NASA will fund the launch. September 2019 and Beyond: We will provide financial resources to the other teams to design, build, test and launch their cubesat missions, including data retrieval and analysis using Maine-based launch assets and other assets outside of Maine that are available. We intend to continue the MeCSLI, assuming success, every two to three years. MSGC’s partners in the MeCSLI include the University of Maine, the University of Southern Maine, St Joseph’s College of Maine, Maine Mathematics and Science Alliance, Texas Instruments, Wells National Estuarine Research Reserve, VALT Enterprises, bluShift Aerospace, Aurora Engineering, and Fryeburg Academy.